A burst of love and happiness named Mary Louise Goff entered the world in March of 1928 in Grinnell, Iowa. This beautiful child of God shared her gifts with her family, friends and the world until she went home to be with the Lord on August 23rd at 90 years of age. Although she was raised during the depression, her childhood was joyful. Her family’s bakery business, owned by her parents, William and Alda Goff, provided delicious breads, pies and cookies and taught her the rewards of a strong work ethic and kindness to others. She spent lots of time playing and riding bikes all over Grinnell with her beloved neighborhood kids and her special cousin and life-long best friend, Bev. Mary attended the University of Iowa and Grinnell College. She married Don Herbert after waiting out his seven years in the U.S. Navy. They welcomed daughters Susan and Jennifer to their family and raised them in Ames, Iowa, where Mary devoted herself to make their childhood as happy as hers. She filled the house with fun and taught them to love reading, art, music and travel. She volunteered at First Methodist Church and spent many years as a Camp Fire leader, teaching her daughters that newspapers, egg cartons and just about anything can be turned into a lovely keepsake if you have enough glue, sequins and spray paint. She and Don instilled a love of travel and adventure in the girls with summer camping trips to the Rocky Mountains, the east coast and many central Iowa campgrounds in their little Winnebago trailer. Mary and Don moved to Marshalltown in 1977 where Mary worked at Des Moines Savings and its various other names until her retirement. She loved helping her customers and they loved her back. In retirement, Don and Mary enjoyed travel and their cottage at Rock Creek State Park. Mary also improved her crafting skills by learning to create stained glass art. She loved to give her beautiful work away to friends and family. Above all, she devoted herself to spoiling her granddaughters as much as possible. Following Don’s death, Mary married George Dixon, of Marshalltown. Together they indulged their love of travel by taking cruises and tours to Europe, the Caribbean, South American and all over the United States. They built a lovely townhome that they enjoyed for many years prior to moving to Glenwood Place. In addition to being a very beautiful and stylishly dressed lady with lovely light blue eyes and a great sense of humor, she was a gracious hostess who loved to entertain and set a beautiful holiday table. Mary gave back to her community by volunteering for the Marshalltown Community Concert Association (now Live on Stage Marshalltown), Marshalltown Medical Center Gift Shop and Hope Methodist Church. She was active in the Elks Ladies. Those left to miss this sweet spirit with a beautiful smile are her husband George Dixon; daughters Susan Verhulst (John), of Urbandale, Jennifer Kaufman (Bruce), of Crawfordsville; granddaughters: Michelle Keys, Katie Raney (Aaron); step-grandchildren Sonya Graber (Dustin), Crystal Porter (Chris), Brandon Kaufman (Ashley); 9 great-grandchildren, cousin and best friend Beverly Arthur and George’s children Claudia Nehring and Kirk Dixon (Devonna). Mary was preceded in death by her parents, William and Alda Goff; sister Anna Marie Pothast and first husband Don Herbert. Special thanks to the wonderful staff at Glenwood Place for the excellent care they provided to Mom. Visitation will be held Tuesday, August 28th, 9:30 a.m. at Mitchell Family Funeral Home. 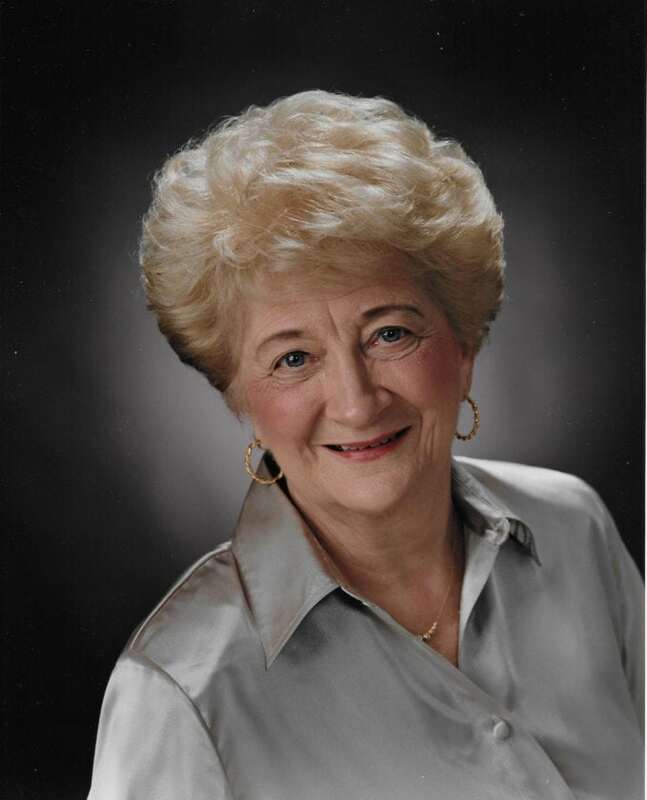 A Celebration of Mary’s Life Service will follow at 10:30 a.m. Please join the family for lunch following the service. Memorial contributions may be made to Hope United Methodist Church or the Alzheimer’s Association.